"Helps yoga students enhance their knowledge of yoga. " "Assist yoga teachers in building confidence in their teaching and expand and grow as teachers. " Enhance your practice and knowledge or use for a 200 hour curriculum and to enhance a 300 hour curriculum. “I highly recommend The Mud & The Lotus to anyone currently teaching yoga, or thinking of entering this highly rewarding field. Butler provides teachers—new and experienced—one guide that can support them throughout their careers. . . . taking into account all aspects of being a teacher. Personal stories lend an authentic and warm vibe, so it really feels like Butler is right there with you, supporting you as you develop.” —Karen Fabian, MS, E-RYT. Founder, Bare Bones Yoga. Author, Stretchedand Structure and Spirit. Available at major retailers like Amazon, Walmart and Barns and Noble. 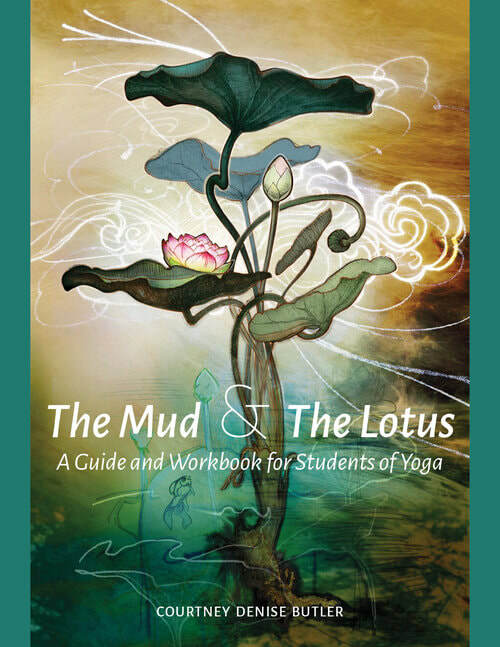 ABOUT: Rooted in the understanding that yoga teachers are themselves lifelong students of yoga, The Mud & The Lotus: A Guide and Workbook for Students of Yoga offers opportunities for aspiring teachers and new students alike to grow in their practice. Guided by hatha yoga traditions, Courtney Denise Butler presents the curriculum she uses to train student-teachers at her Balance Yoga and Wellness Yoga School (R.Y.S. 200/300/500, with a 4.85/5-star Yoga Alliance rating). From the grit to the zen of the yoga world, Butler has developed these lessons from extensive experience in many aspects of the yoga business as well as four decades of personal practice. She shares basic history, physical and energetic anatomy, teaching tips and pose adjustments, essential cautionary notes, detailed professional and business advice, useful approaches for class planning, demonstrative images and illustrations, inspirational personal anecdotes, and much more. The volume includes a workbook that actively reinforces key terms and concepts, and lights the way for self-reflection that will continue to inform teachers as they lead from and beyond their mats.